This pristine island is extremely popular with Thai and foreign tourists alike, because apart from its immaculate beaches, its popular scuba dive centre and exotic nature, it is also easily reached from Bangkok. 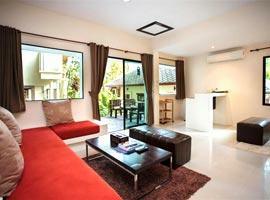 Thais flock here on holidays, prompting early booking to avoid disappointment. 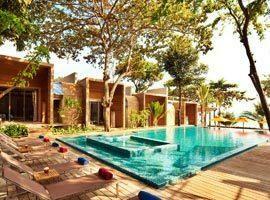 Especially our list of the best places to stay in Koh Samet sell out fast due to popular demand. All areas on the island shouts idyllic beauty, but the kilometer long Hat Sai Kaew is the most popular and with good reason. It is atmospheric, features intimate restaurants and evening venues plus exiting water sports. On the west coast the 200 meter Ao Prao has no neighboring beaches, it is never crowded due to a lesser number of hotels and offers great ocean sunset views. To escape the crowds and enjoy the romance of a small intimate cove Ao Phutsa, Ao Kiew or Vongduern Bay in the north are good areas to stay. Ao Phai is cut of from Hat Sai Kaew by a rocky outcrop and it features many hotels and resorts offering budget accommodation on 400 meters of relative calm. These are by no means the beginning and end of good locations, but certainly the most popular. We suggest using our yellow search box to expand you search to include many more resorts to choose from. 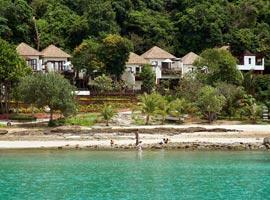 Outdoor terraces of deluxe cottages at this award winning resort reveal charming views of the tranquil bay. A great place for couples many cottages are steps from the beach with romantic interiors featuring draped four poster beds. 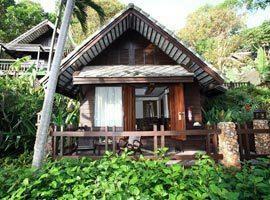 Located on idyllic Ao Prao Beach Le Vimarn is one of only a few 5 star luxury hotels on the island. It offers romantic cottages and a one bedroom villa suite featuring a kitchen and a jacuzzi plunge bath on a private outdoor terrace. In Koh Samet the best beach to stay near entertainment, facilities such as restaurants and shops and nightlife is Sai Kaew. 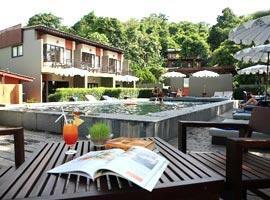 Here Lima Bella Resort offers 3 star deluxe accommodation with private terraces steps from the pool. The multi award winning Paradee is one of the top hotels on the island. Surrounded by tropical jungle it settles amid coconut palms in an intimate cove on Ao Kiew Beach and offers private pool villas right on a cotton soft ribbon of sand. Sai Kaew is 3 resorts in one located right where 2 beaches join allowing you to spend days soaking the sun in privacy amid smooth boulders, or on the more vibrant side. 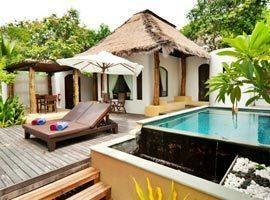 It offers cozy cottages steps from the pool as well as seaside villas. Samed Club is located on quiet Noi Na Beach where it settles at the base of jungle hills and, because it is located within a Khao Laem national park you can expect your surroundings to be pristine and devoid of over commercialization.